﻿ Hotel Diva, San Francisco (CA) | FROM $116 - SAVE ON AGODA! "The staff was super accommodating." "Very good location near Union Square and Car Rental just around the corner." 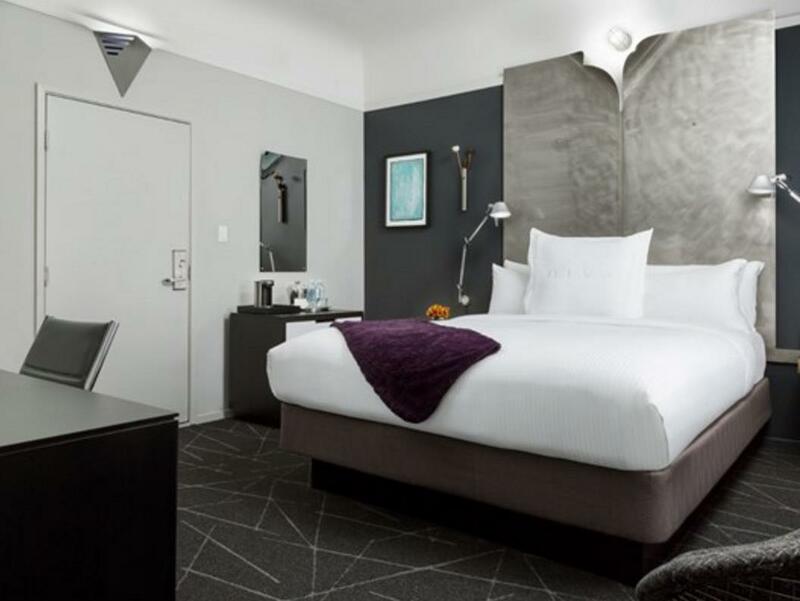 "Hotel is well located near union square - very walkable location." "Just loved how helpful and welcoming the staff were." 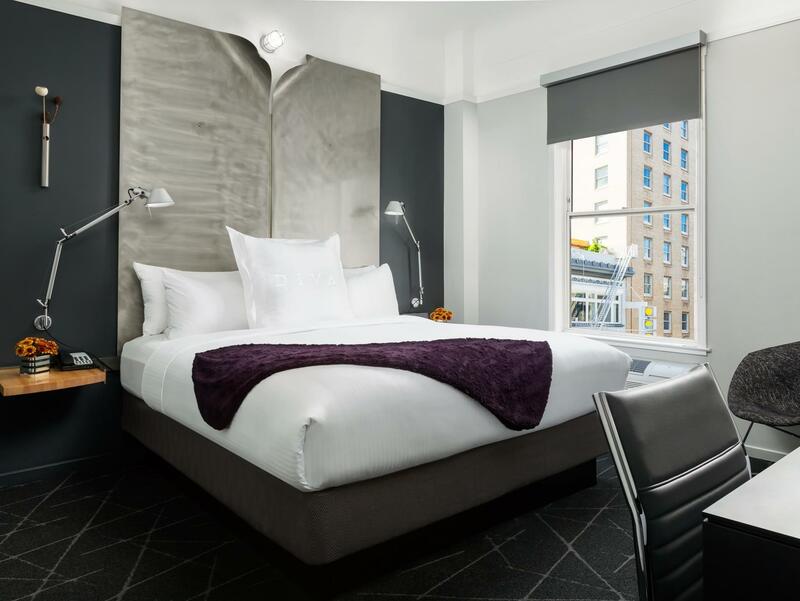 Featuring a modern fitness centre, this San Francisco hotel is 3 minutes’ walk to the shops, restaurants and galleries of Union Square. All modern rooms provide free WiFi. 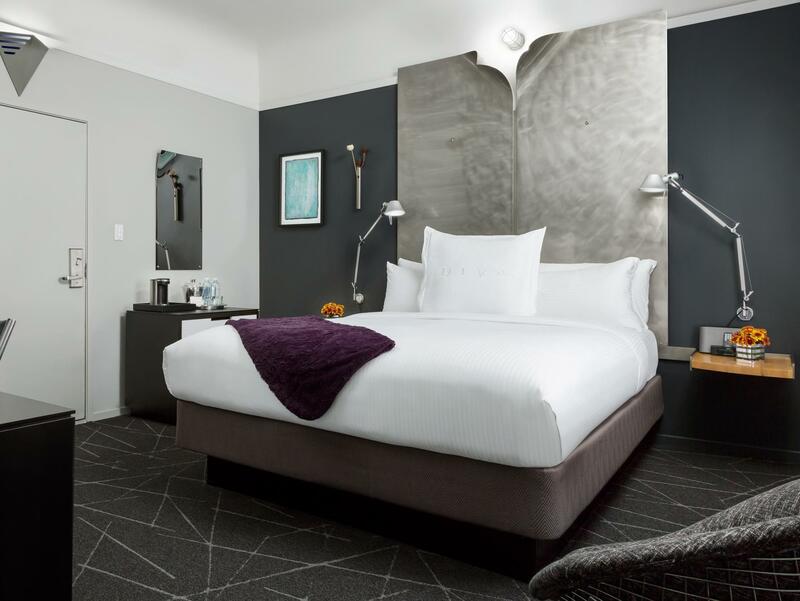 Styled in white fine linens, each room at Hotel Diva San Francisco features grey, contemporary furnishings and a light up mirror. An iPod docking station, a flat screen cable TV and free H2O toiletries in the en suite bathroom are also provided. 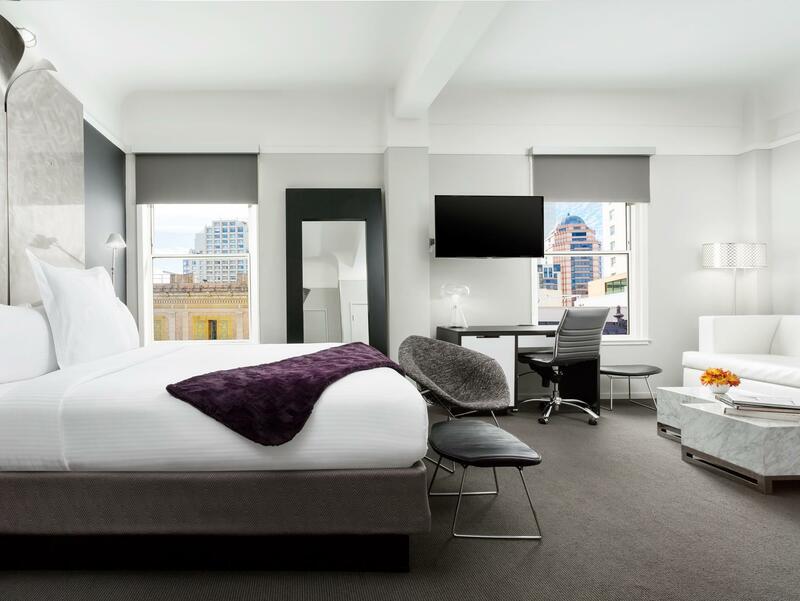 Concierge services help guests at Hotel Diva San Francisco book reservations at some of the most desirable restaurants in San Francisco nearby. Dry cleaning services and a business centre are offered. A classic San Francisco Cable Car stop is 3 minutes’ walk away from Hotel Diva. Fisherman’s Wharf is a 25 minutes’ Cable Car ride away. The Ferry Building offers gourmet food trucks, boutiques, restaurants and ferries to Sausalito just 1 mile away from Hotel Diva. "Good big rooms and clean." What caught my attention is how the front desk staff of the hotel are very friendly, accommodating and efficient. Location is quite accessible to Union Square and only a block away from the city’s car rental offices (Herrz, Alamo, etc.). Because we stayed for 11 nights, front desk (Indian guy) upgraded us to a Junior Suite. Although their suite is not what I would expect, the room is twice the size of their regular room. There’s an ice machine and water filter station free of charge for the hotel guests too. My small concern though was that on the second night, the bath tub was already flooded. We had to clean the drain ourselves thrice during our stay. Calling Housekeeping is a bit of a challenge though. Not a new hotel but am quite satisfied with the price and service of their front desk staff. The service level quality is far beyond expectation, especially for four of us, family with 2 kids. 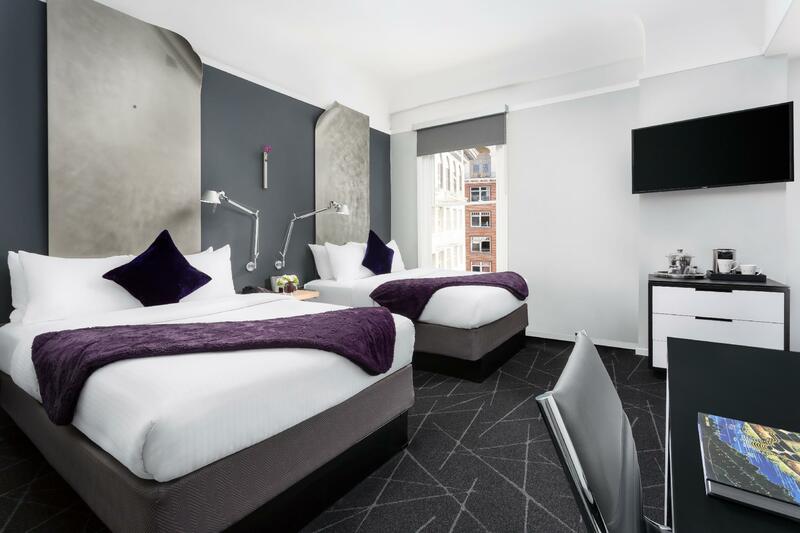 Here are some of the examples: (1) when we arrived late in the night, the night shift receptionist directly offer room options (2 single beds OR 1 king beds + sofa bed) for us to choose, without any add cost. (2) Since we are check in very late and starving, he directly recommend good value restaurants nearby (pro and cons). We eat 3 out of 4 restaurants he recommend and we are fully agree with his option. (3) the security guys offers parking spot trips and trick especially as you know, the parking fee in SF is quite expensive. (4) the room w get is big and comfortable for four of us. 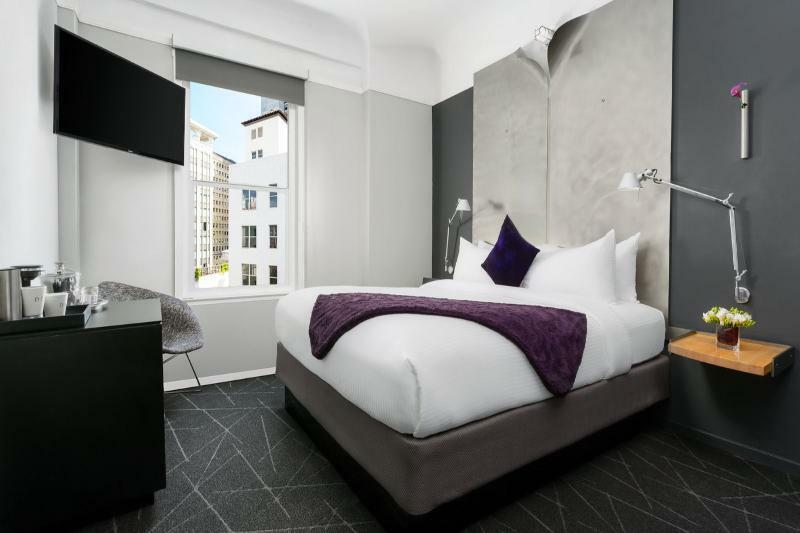 (5) the hotel location is exactly in the centre, less than 10 minutes walk to the Union Square and nearest tram station. In the future, will definitely stay again in Diva. Booked through Agoda..found an excellent deal. 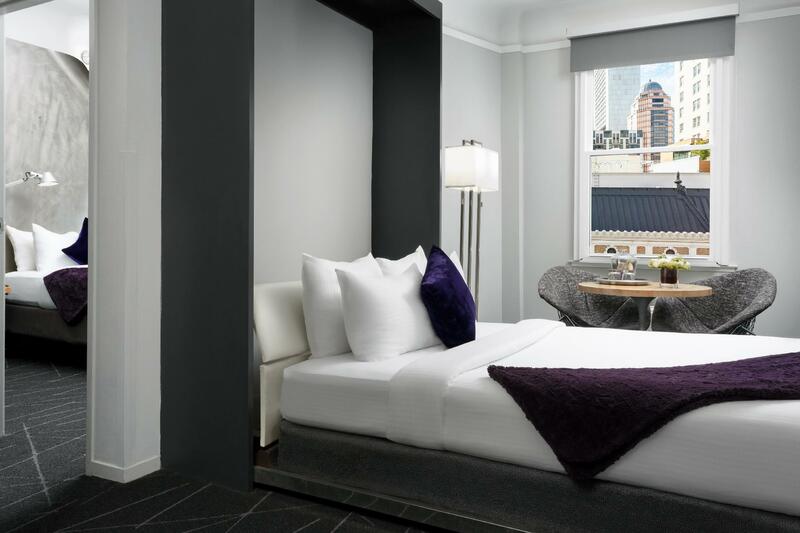 Hotel is well located near union square - very walkable location. Staff was lovely. Hotel itself is dim lit - but you can see the agedness of the building. Rooms very clean but hallways were a bit weathered. All told - great experience Highly recommend. staffs are very friendly and helpful. room is clean and big enough for 4 big luggage. location also very good. Just like living in the center of San Francisco. Good staff for recommending parking spaces. The location is near Union Square! Good distance for malls. room size was ok with all the necessary facilities. around 5-10min walk to restos, and major shops in Market Street. Staff was very friendly and helpful with suggestions from places to eat to a gym nearby offering weekly passes if you dont like the hitel gym. the only significant drawback i had was the smell in the hotel's corridors. The hotel is near Union Square, great location. My room was small but acceptable size. Very clean. Staff was friendly and helpful. My only complaint is the mandatory "resort fee" of $15 per day for which you get one free bottle of water per day and wifi internet. Glad I didn't drive a car…parking is expensive! Starbucks next door and many nice restaurants nearby. I would stay at Hotel Diva again. Great downtown location. Starbucks next door. 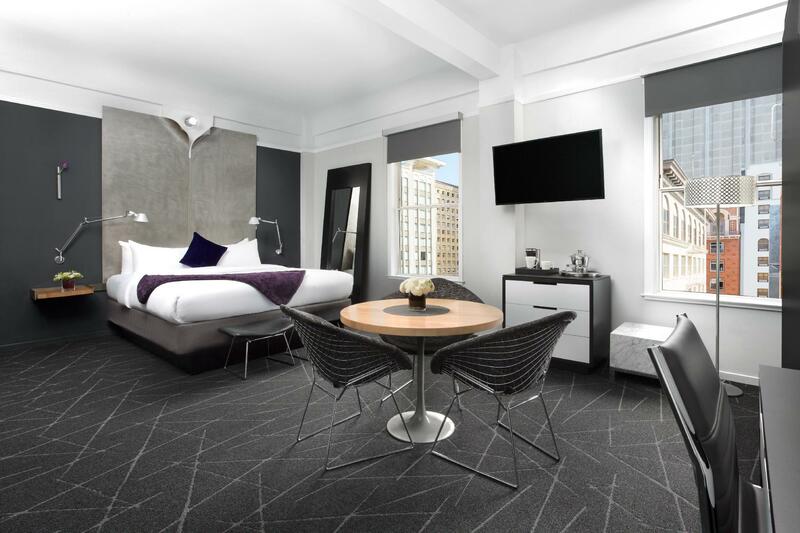 Large, hip room in grey tones, small refrigerator, "Diva" shopping bag provided to use while staying there, cosmo shots in lobby during happy hour. Will stay there again. From the photos online we had expected more. It felt a little rundown. The bathroom didnt have a fan, the window wouldnt open so the room felt humid even with the air conditioner running. There was only one side of the bed with a plug in. And half of the lights that were in the room didnt work. The staff were friendly and attentive when we interacted with them. This is a small hotel.. but truly value for money. Good big rooms and clean. The hotel is very located in the city center with a lot of eating options around. Has a star bucks below and a mexican restaurant too... we had a great time!! Nice clean Hotel. Stayed 4 nights in a King Suite overlooking Geary Street. Very good location (price wise) in Union Square. Close to all the Fancy Shops (LV, Dior, Chanel, YSL, Jimmy Choo) and the trollies! Don't ask for street view if you do not enjoy the street noise. The room could have used a microwave! Room service was good. Overnight parking was very pricey $65 oversized vehicle per night! We stayed in the delux king. It was quiet. The staff was super accommodating. The room was spacious. We could get Uber’s so easily. Tons of food, bars, and shopping nearby. Negatives included the 20 a day fee for services I didn’t use. The bathroom was a little small but did the job. 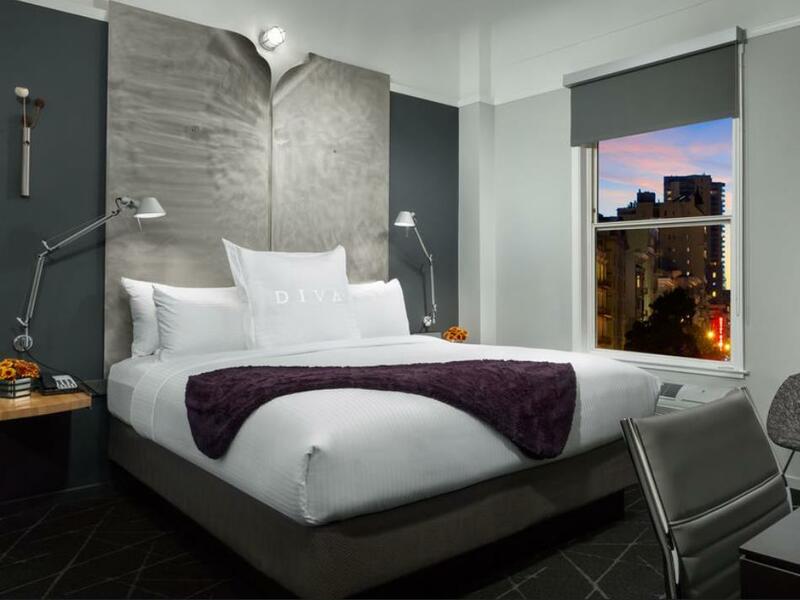 Located in the Theater District, Hotel Diva is a boutique hotel-quaint, clean and very friendly staff. We dropped our rental car off and walked a block to this hotel where we were greeted by Carlos and Q, so friendly and knowledgeable. They have discounts on tours, recommend restaurants, and even have free happy hour 5-7. It is located near major shopping-Macy's, Sacks and close to the Hop-On Hop-off Bus and Cable car...all walking distance. Rooms are somewhat tiny but have all amenities and upgraded bathroom fixtures. Coffee Maker, ice box in room and water filling stations and ice on certain floors. 24 fitness room too...it was lovely and the staff really made it...and speaking of maids, she was also very nice. Again, really clean and well maintained and affordable for downtown SF. We loved it there!!! Location is great, less than 5 mins walk to union square. A lot of restaurants nearby. Other than the location, the rest about this hotel is average - cleanness, facility, furnitures r old. Special at the check-out, they charge another USD 20 for facility fee... Luckily I used their tiny gym for 40 mins, otherwise I will be even more disappointed abt this hidden charge. The hotel is only 1 block away from Union Square where all the shopping are, room is with just right size, not big but wouldn't be too small. There's Jack in the box around the corner and a very popular restaurant opposite the road, not to mention a lot other restaurants, bistros offer surrounding. I will definitely recommend this hotel and stay here again. Certainly not the W, but not bad either. As prices in SF can get crazy, this location provides what you need in a slightly remodeled elegance. :) The gym is a shoebox so beware that you and 2 others will have room. LOL maybe 4 if people can squeeze. The bathroom has everything (shower/toilet/sink) within reach...literally. The key is the staff...wow..they were very cool and capable. Very willing to assist, engaged with intention and sincerity...was not canned or contrived. Would return for that. Stayed there for 7 nights. Check in and check out was smooth without drama. Staff was friendly. A little pricey, I guess that was because I book it a little late. Like how they style their room. I remember reading some review saying about smell, not in the room that I stayed. Noise problem that I read in other reviews was actually not too bad, at least I didn't have problem sleeping during my stay. The hotel is very close to Union square and Chinatown. Staff are nice. Rooms were spacious with a coffee pod machine and small fridge. There is a shared filtered water tap in the hallway which was very useful. Adequate hotel.